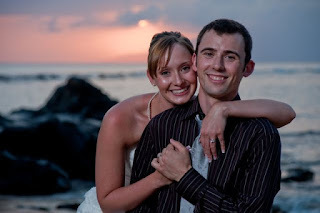 This evenings wedding was shot at the Royal Lahaina Resort. We met the groom outside the office and took a few shots with him. I like to make sure that I capture the details of each event as well as the emotions. 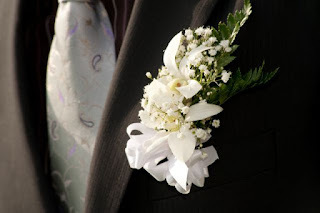 The shot of the boutonniere is one of those little details that is a big part of your event. One of my other favorite shots to capture is the grooms first duty given to him as husband. That is holding the flowers for your lovely bride as she signs the marriage license making it Official! 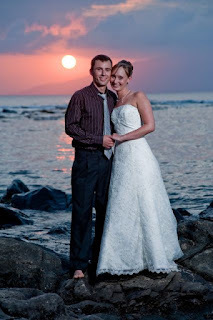 We went down to the beach to finish off our sunset event and have a look at the sky blessing this couple on their big day. Lately we have had a bit of vog in the air that diffused the sun through the haze and produced this colorful moment. 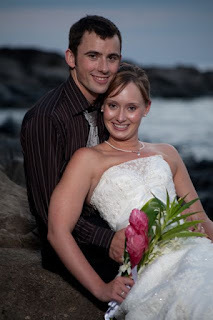 Congratulations on a long and colorful relationship to Caleb & Caitlin.